Addresses the difficulty ex-offenders face in their job search. Tells it like it is. Plain, straight talk. 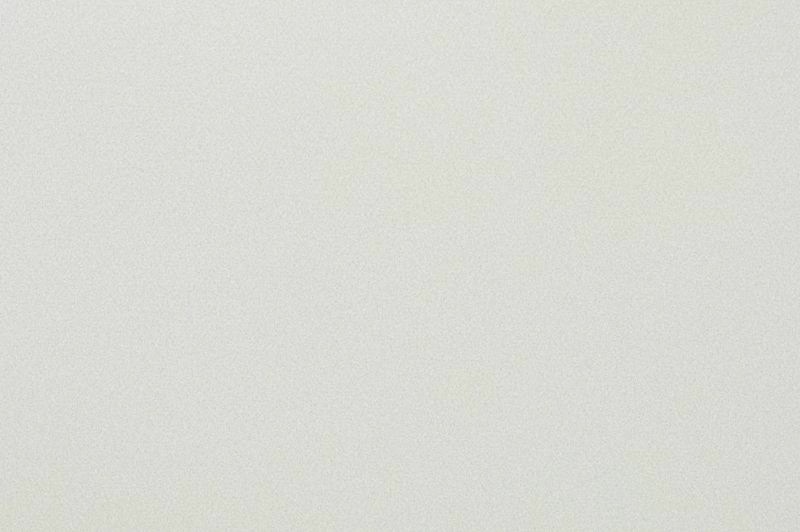 Each topic is written on a single, 2-sided page. 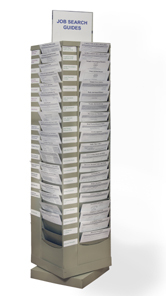 If permitted by the facility, Guides can be conveniently displayed in an optional revolving 80-pocket metal kiosk. Guides printed in vivid color with graphics and pictures. Internet resources provided with every topic. Print from the included CD with all 62 Guides in PDF format. 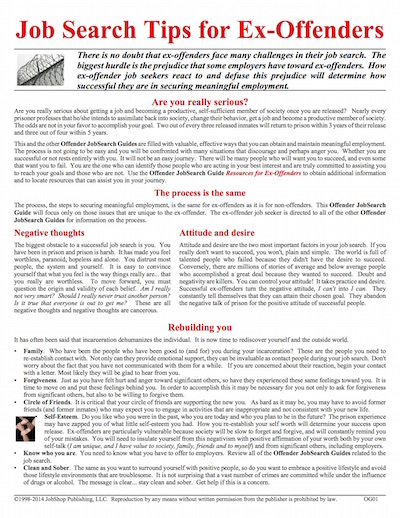 Click image to see a complete Ex-Offender JobSearch Guide. COMPREHENSIVE. The Guides address every step of the job-search process from résumé writing to thank you letters, from proper attire to cold calling, from accessing the hidden job market to how to use the Internet. There are 62 different topics! CREDIBLE. Written by workforce professionals with years of experience working with various types of job seekers, including re-entering ex-offenders. The authors have been there -- just like you -- on the front line. POPULAR. The Adult version of the JobSearch Guides is now available at more than 1,000 locations across the U. S., and are daily helping hundreds of individuals seek and find employment. Guides are also used by a number of organizations serving ex-offenders. COST-EFFECTIVE. At only a few pennies per copy, the Offender JobSearch Guides are the least expensive printed resource in the workforce development field. EASY TO READ. Formatted with short sentences, organized subtopics, color, graphics and the ability to be printed on two sides of the page, the Offender JobSearch Guides are customer-friendly. EASY TO REPRODUCE. Print your inventory from the supplied Master CD. Guides are in PDF format. UPDATED INFORMATION. The Offender JobSearch Guides feature all the state-of-the-art information on Internet searches and other topics. Guides are updated regularly. VERSATILE. Guides are perfect as a handout in job-search workshops, resource and reception areas and at job fairs. PRISON FRIENDLY. Guides are printed on single sheets of paper with no staples.